Dan Danford's article, "Don't let your emotions affect your finances," was recently published in Medical Economics magazine. In the article, Danford explains that behavior has greater impact on finacial success than income, and suggests that money anxiety can be treated. Click here to read the full article. Pet insurance: a topic that would seem insane 20 years ago is now a booming industry with one million pets and counting covered by insurance. Revenue for U.S. pet insurance plans was more than $300 million in 2009 is predicted to reach $753 million by 2014, according to consumer research firm Packaged Facts. But does pet insurance make sense for you? Dan Danford, CFP® and Principal/CEO of Family Investment Center, shares his financial tips on whether owning pet insurance makes financial sense. I used to believe I'd be able to tell if I was being scammed or not, but now I am not so sure. What are some good ways to ensure you are not hurt in a financial scam? It seems every day you read about a new financial scam bilking people out of their hard-earned money, but how can you ensure you are not caught up in one of these financial scams? Danford shares his five financial tips to avoiding financial scams. ST. JOSEPH, MO. February 6, 2012 - Dan Danford, CFP®, Principal/CEO of Family Investment Center, an independent commission-free investment firm that provides financial and portfolio services, has been named one of America's Top Financial Advisors for 2012 by Conquest Press. An elite group of financial advisors received this recognition. 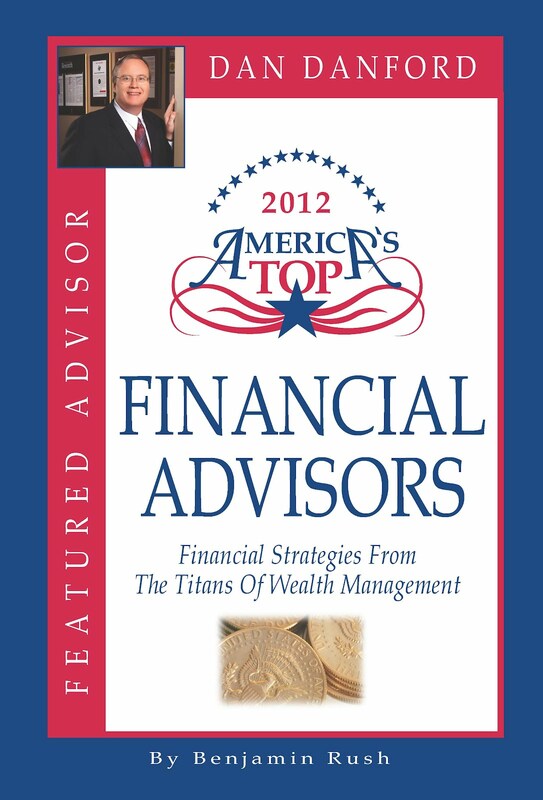 Each advisor will be included in the new book, 2012 America's Top Financial Advisors -The Titans of Wealth Management. Criteria for inclusion was rigorous and thorough, and includes rankings on industry-recognized lists, number of clients served/client retention, educational background and professional designations, assets under management, professional longevity, regulatory review, and impact his or her services have made on clients. "Dan deserves this recognition," said Jason White, Ph.D., Principal/Director of Investments for Family Investment Center, and Danford's colleague. "Dan has made a tremendous impact on his clients since he began his investment career back in 1984. So many clients have been with him since the very beginning, and we're very proud of him." Danford founded Family Investment Center in 1998 to help successful families, individuals, corporations, and foundations manage finances and grow portfolios. The firm uses proven academic techniques to deliberately balance investment risks and rewards. 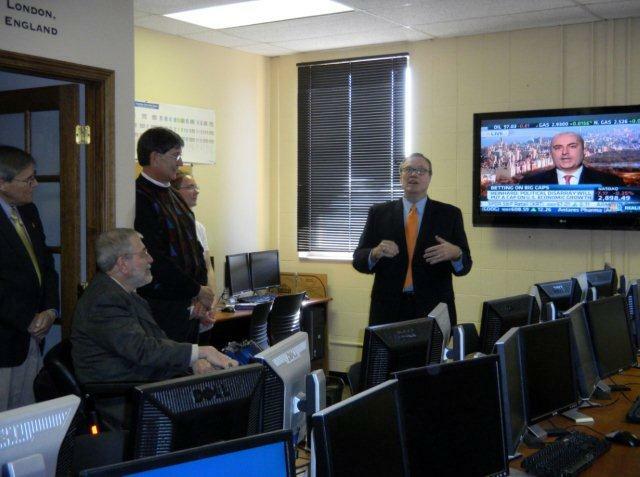 This process has benefitted clients even during the last decade's tumultuous market situations. Danford started Family Investment Center after success in the trust industry. He envisioned a new type of advisory firm after realizing that clients could prosper when advisors consider a wide universe of investments, and if the process was free from sales commissions and biased research. Industry consultant Marie Swift once cited Danford's "genius business plan" as key to the firm's early success. Clients often mention custodial safety, friendliness, service, and convenience. Danford and his wife Chris live in St. Joseph. He is a graduate of Missouri Western State University and holds an MBA from Northwest Missouri State University in Maryville. He is a third-year graduate student at Kansas State University where he is pursuing a Ph.D. in Personal Finance. He holds the CFP® designation, belongs to the Financial Planning Association (FPA), and the National Association of Personal Financial Advisors (NAPFA). He writes frequently for both consumer and industry publications. Family Investment Center is a Registered Investment Advisory firm serving several hundred key clients throughout the region. The firm manages or advises almost $100 million for families, individuals, corporations, and foundations. 1) Consider the $5 million estate and lifetime giving tax exemptions. 2) Channel estate transfers through family limited partnerships. 3) Open a donor-advised fund. 4) Use highly appreciated stocks for charitable giving. 5) Gift out any required mandatory retirement account distributions. 6) Consider Roth IRA conversions. 7) Direct annual $13,000 gift- tax exemptions to 529 plans. 8) Watch the Foreign Account Tax Compliance Act. 9) Invest in municipal bonds. 10) Look at investment interest expenses for deductions. 11) Invest in an independent film. 12) Feel free to use 401(k) catch-up contributions for older clients. 13) Revisit estate plans frequently. 14) Work to avoid the alternative minimum tax. 15) Team up with CPAs.